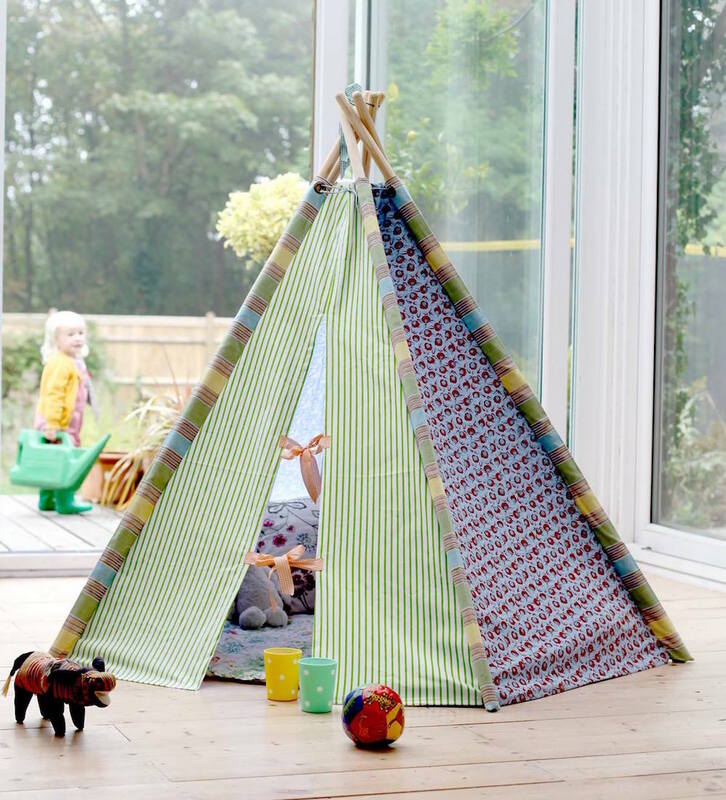 The sweetest, most gorgeous young children's pressies this side of Lapland, with brands you won't find everywhere else. If it's good enough for British Vogue, it's good enough for us! 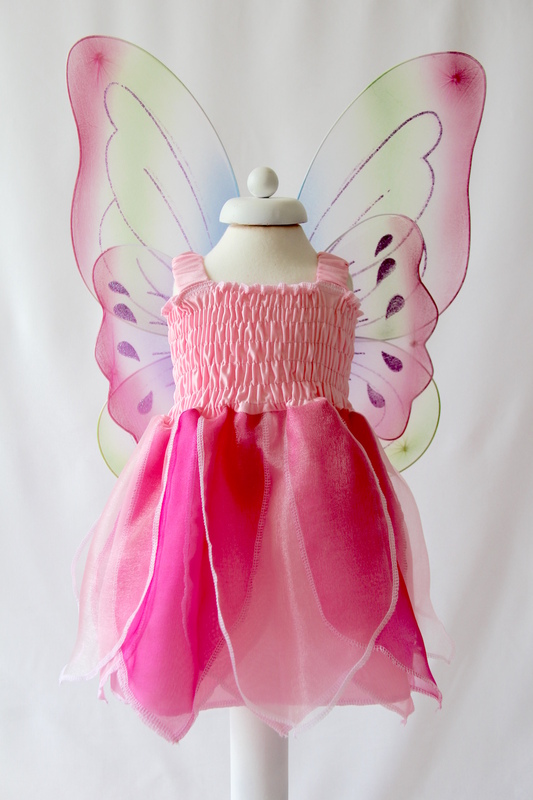 This cute pink fairy dress by Enchanting Designs will have your littlie casting magical spells at all the Xmas parties. 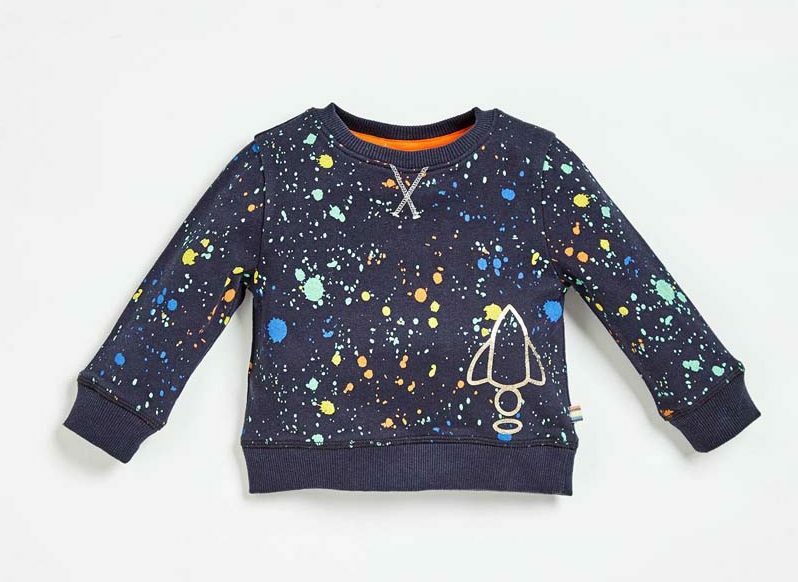 Bring out your child’s inner Jackson Pollack with this supercool sweatshirt from Buckinghamshire designers Angel & Rocket. For kids from 3m to 3 years. Show me the child who doesn't love dunking eggs and soldiers! This fair-trade, beech wood board comes from Hampshire's Muddy Award-winning interiors store La Di Da. 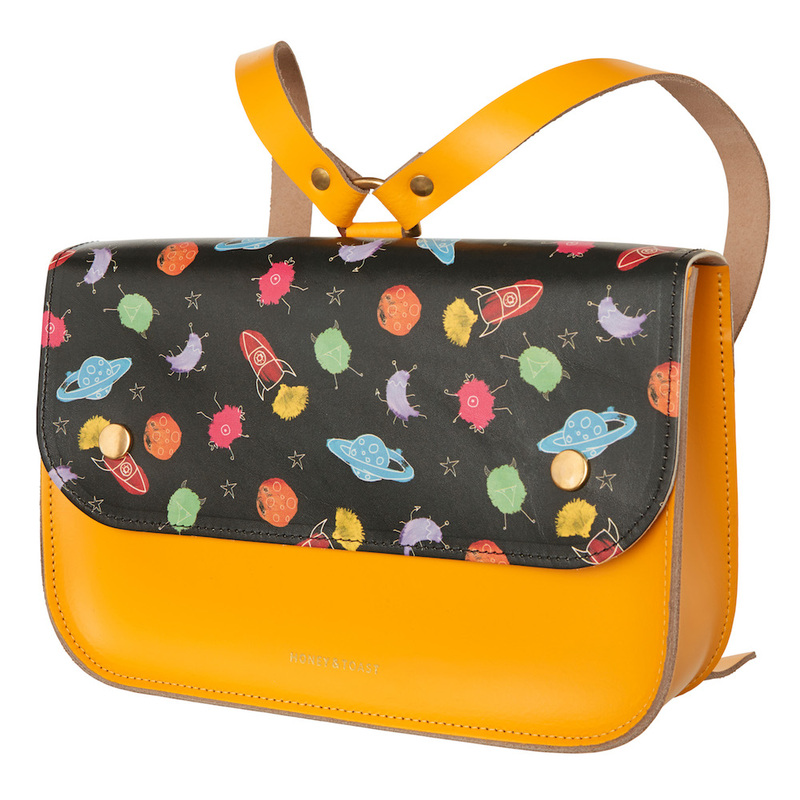 For busy days at school, nursery, or one of life’s other little adventures; the only problem we can find with this cute leather satchel from British brand Honey and Toast is that it doesn’t come in Mum-size. *Pouts*. No party bag is complete without bubbles and in a stocking you can go one better. 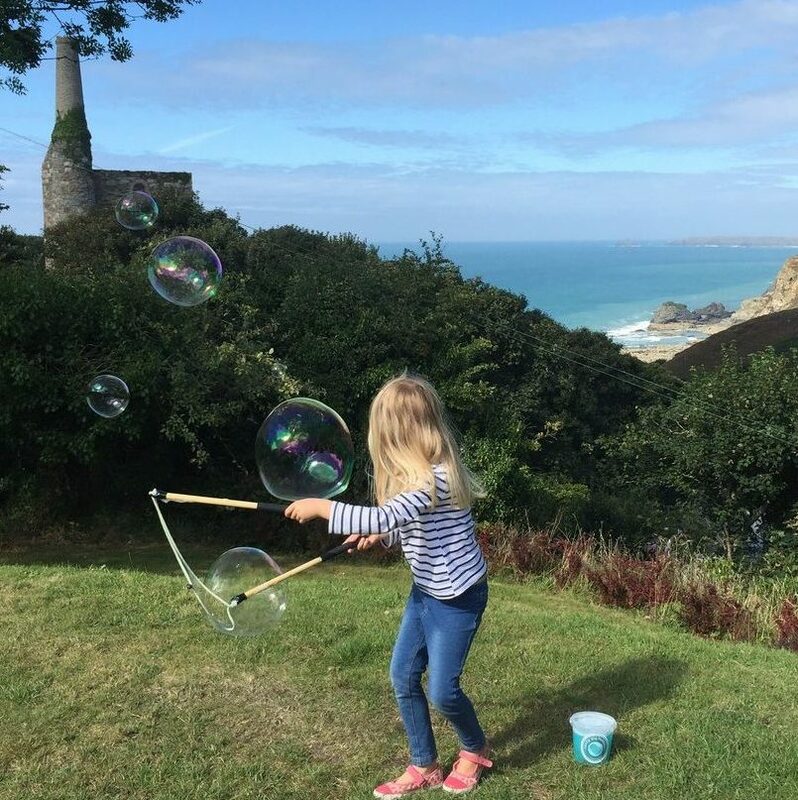 Really Big Bubbles’ jumbo wands and special mixture create massive bubbles that will make your Christmas morning walk so much more fun. 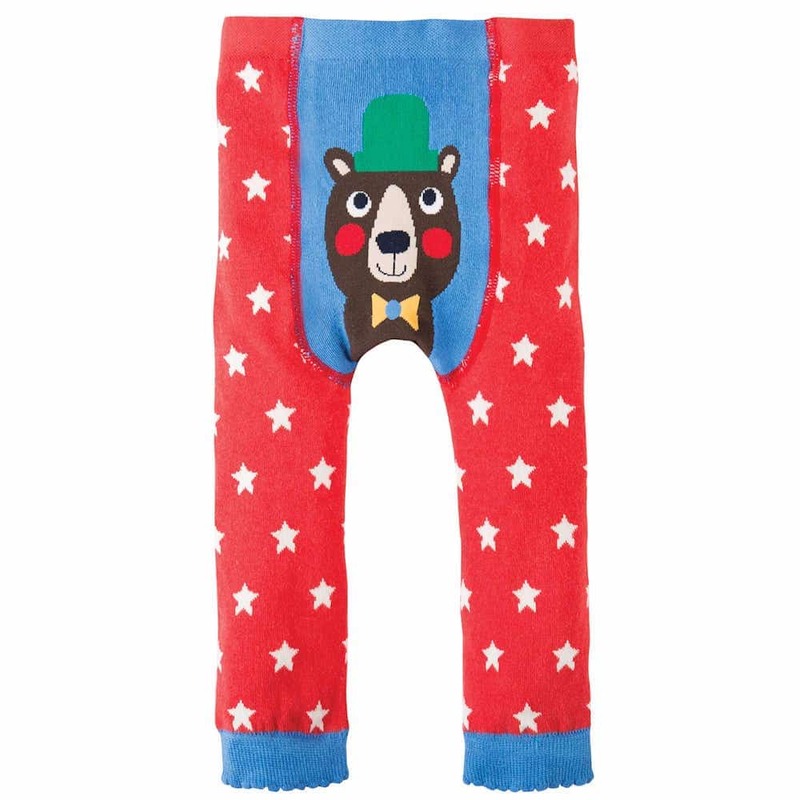 Soft organic cotton Frugi knitted leggings with bear on the bum for ultimate crawling adventures. Available from The Leveret in Amersham for kids 0-4 yrs (more's the pity, I'd quite like a pair myself). 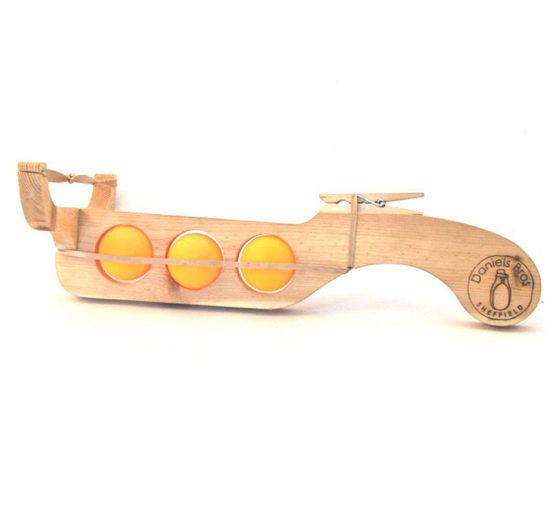 Battle the baddies with a state-of-the-craft wooden crossbow that shoots out three light as air ping pong balls (so no trips to A&E on Christmas morning). Take aim, push down the clothes peg trigger – and fire! Handmade from recycled crates in Sheffield, the Ping Pong Crossbow is available from Spotty Herberts in Bath. ...or even better, be a unicorn! 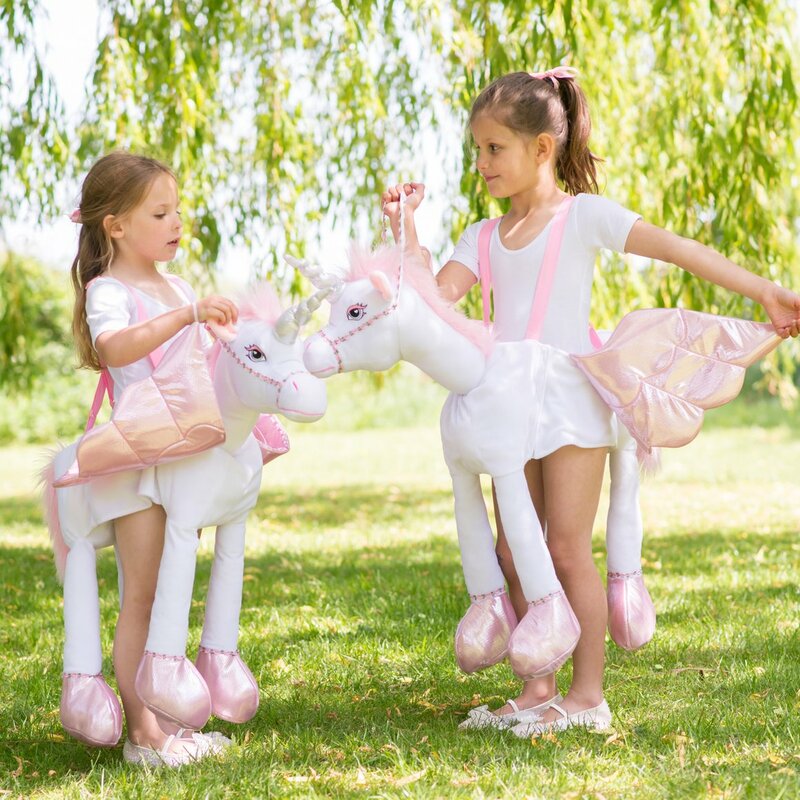 These Ride On Fantasy Animals from Travis Designs at Ducklings Toyshop are giddy-up gorgeous. There's even an adult version for the ultimate mum-and-daughter riding experience. Ditch the boring old hairbands for something cool and colourful that’ll make hair styling a happier occasion for everyone involved. 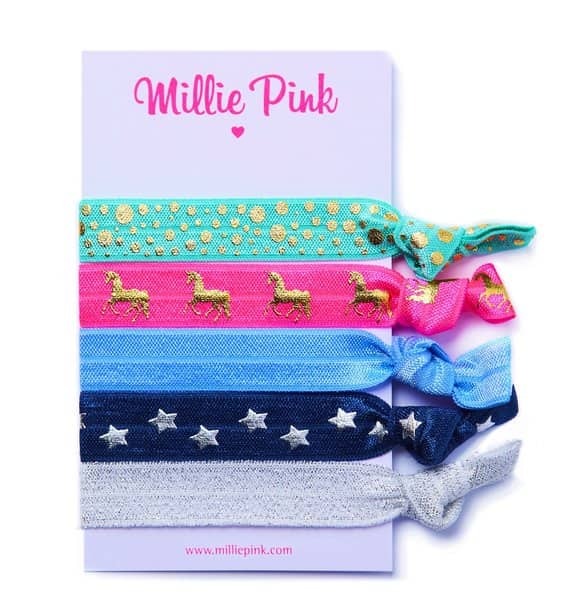 Berkshire-based girls’ accessory brand Millie Pink makes stretchy ties that are kind to your hair and head. (Loads of colours and designs to choose from btw). 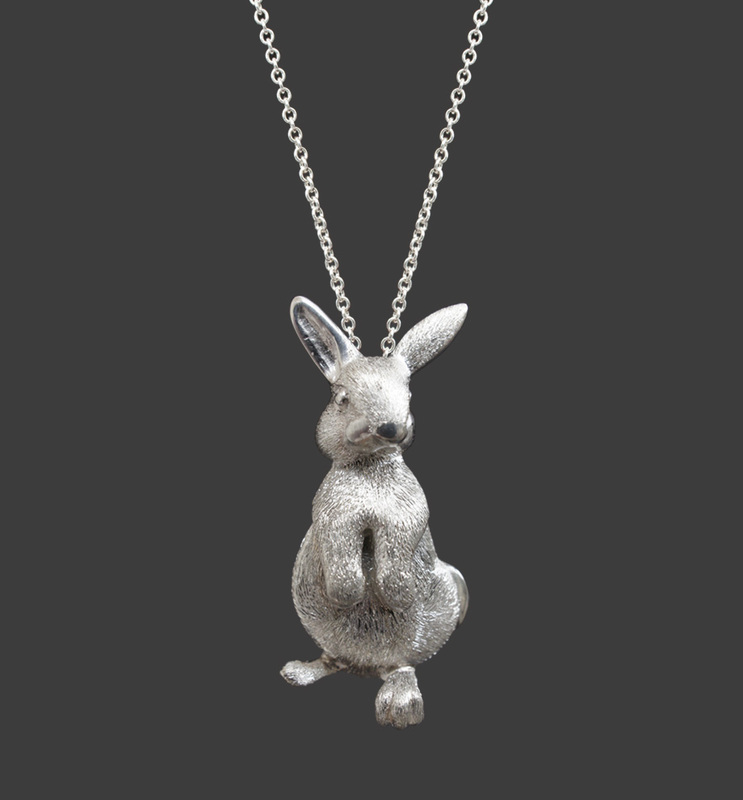 For a special Christmas present that will last into adulthood, follow the link down the rabbit hole to the Alice in Wonderland-inspired collection of sterling silver pendants exclusive to Simon Pure jewellers. 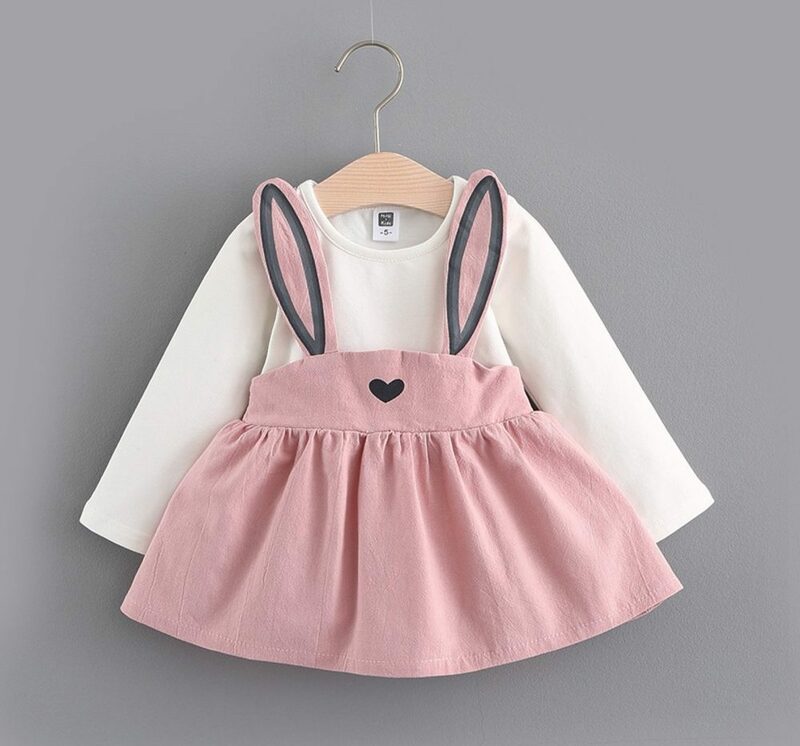 Choose this cute version of the white rabbit, or a dormouse, hedgehog, dodo or frog. 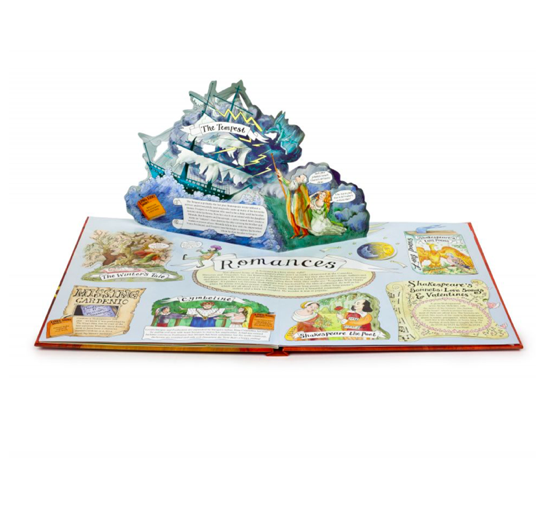 All 39 of the Bard's plays and poems condensed into a new irreverent 3D pop-up book for kids with lots of jokes and fun stuff. Created by artist Jennie Maizels and written by Reed Martin and Austin Tichenor of The Reduced Shakespeare Company and new for Christmas. Signed copies available while stocks last. 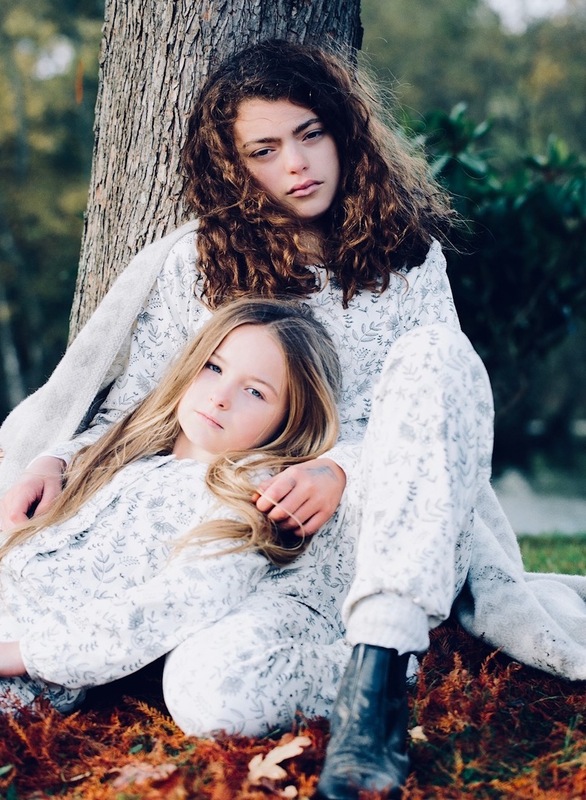 Everyone’s Christmas stocking needs pyjamas, and for kids 5-14 yrs they don’t come more cosily stylish than these PJs and onesies from Surrey brand Horses of the Wild. The hand-drawn print is on buttery-soft organic cotton elastane. 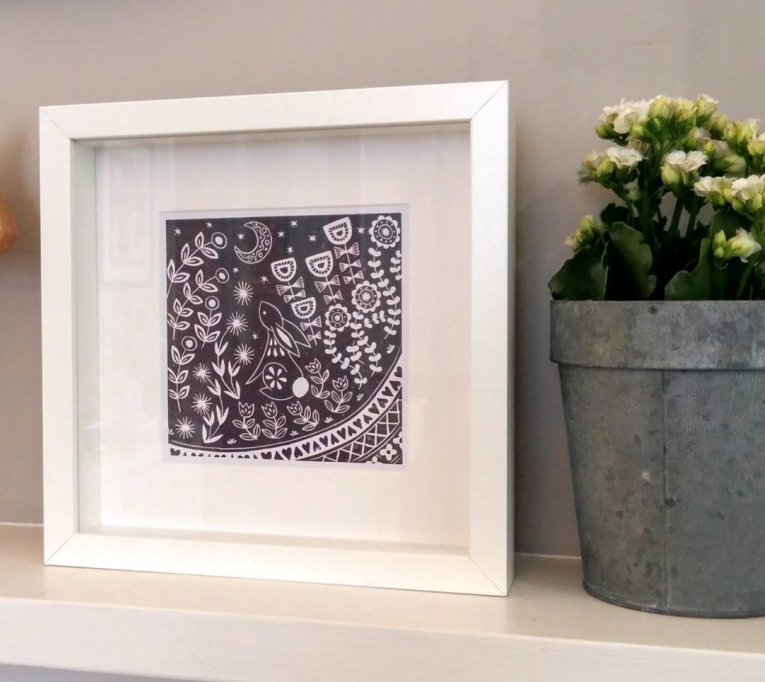 We love the Scandi-inspired limited edition linocut prints from Mabel Fox. There's a whole gang of animals to choose from, in a range of colours, so you can mix and match to get your preferred look. 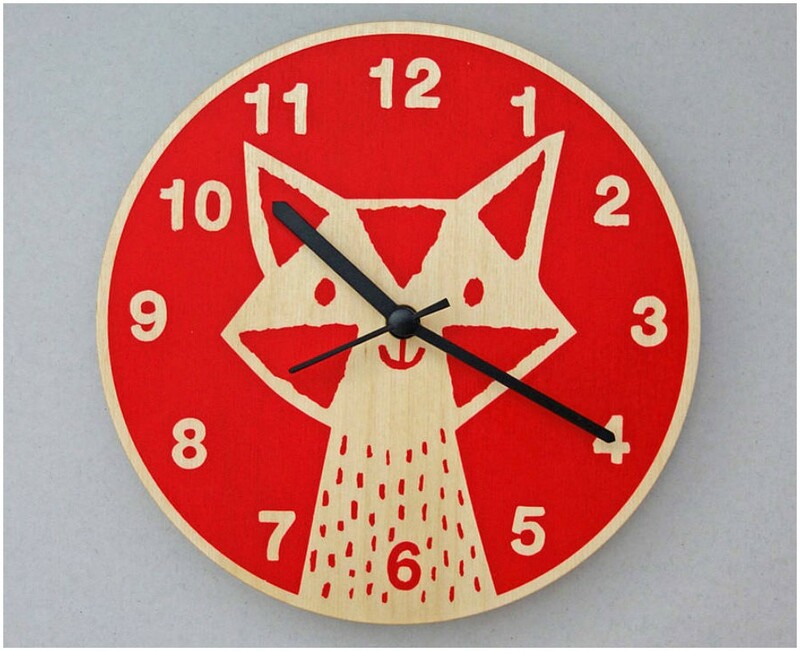 WHAT'S THE TIME MR FOX? 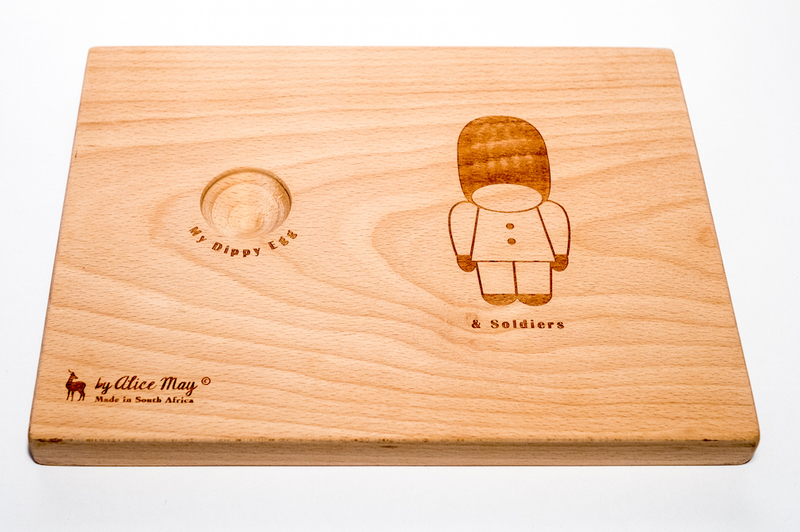 Time flies when you're having fun, and your little mudlets will enjoy telling the time with this cute hand-printed ply version, available from Niche Store.